The Research and Technology Development conference is an all-encompassing event for researchers, students, and academics who are involved with research and technology. It's about networking, learning about technologies, developing new skills in our workshops, and meeting new people who may, or may not, have the same interests as you. RTD is a blowout party, it's thoughtful discussion, and it puts you in a place to ponder "what if..."
Thanks to the University of North Dakota's sponsorship, the rtd registration fee has been waived for all students. The RTD 2018 app is now available for both Android and iOS devices. This free app has a schedule of events and allows you to share your custom schedule with your fellow researchers. Go to https://goo.gl/VjtQ4N to register and learn more about the topics being covered. Data Carpentry’s aim is to teach researchers basic concepts, skills, and tools for working with data so that they can get more done in less time, and with less pain. This workshop teaches data management and analysis for genomics research. This lesson assumes no prior experience with the tools covered in the workshop. However, learners are expected to have some familiarity with biological concepts, including nucleotide abbreviations and the concept of genomic variation within a population. Participants should bring their laptops and plan to participate actively. Go to https://goo.gl/VjtQ4N to register and view the workshop requirements. Join us for the Research and Technology Development conference September 17-18 at Missouri S&T. Experience interactive workshops, updates on the latest technologies, and networking opportunities. This year's RTD event will be the biggest ever, with more take-away skills, more talented researchers and students coming together, and more of what makes the technology and research community great. In this breakout session, Paul Snyder from the University of North Dakota Department of Aviation and Zachery Waller, Research Coordinator & Asst. Professor for the University of North Dakota Department of Aviation, will discuss the use of UAS systems for capturing and analyzing data for infrastructure maintenance in the energy industry. In this workshop, attendees will learn the basics of parallelizing serial code to OpenMP and MPI platforms. Students are encouraged to bring their own code to the workshop! Paul Snyder, assistant professor at UND Department of Aviation, and Adam Smith, MnDOT project manager at the Office of Land Management, Photogrammetrics Office, will lead a workshop where attendees will get hands on experience with deploying sensors on small platform UAVs. Timothy Pasch, an associate professor from the University of North Dakota communication department, will be conducting a panel on technical communication. In this panel, attendees will discuss how to package data intensive research results to communicate scientific outcomes to a broader audience. Zachery Waller, Research Coordinator & Asst. Professor for the University of North Dakota Department of Aviation, will hold a breakout session to discuss integrating remote sensing platforms and Unmanned Aircraft Systems to conform to FAA Rules and Regulations on Airspace Access. Thank you to Dell, a gold level sponsor for RTD18! Find out how to create unmanned data gathering platforms, both interactively and autonomously. Learn terms and techniques, get hands-on with the tech, and explore the world of autonomous data collection. Learn to utilize the power of modern computing technologies to process and comprehend massive amounts of data. Experience hands-on workshops to discover how HPC can impact your research. Data is important, but actually understanding that data is invaluable. Visualize, share, and interact with your data beyond the screen. Find new, fast ways to discover trends and anomalies. Together with Missouri S&T’s IT Research Support Services, the University of North Dakota has collaborated to bring previous RTD events to life. This year we continue the tradition with UND as an esteemed partner institution for RTD 2018. 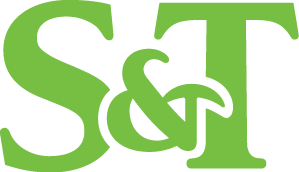 ITRSS provides a broad layer of support to S&T’s research community as well as facilitating a large number of student-involved activities. ITRSS is committed to helping students go beyond the classroom by giving students the opportunity to practice and highlight practical knowledge, leadership skills, and self improvement.